A job at one of the big four tech players is the dream of millions around the world. However, getting hired by one of them is a difficult task if not impossible. Amazon apart from being the e-commerce leader of the world is also one of the four major tech players. The company has seen very fast and profitable growth in the last five years. Apart from its commerce platform, AWS has also experienced rapid growth in the past three years. The size of its human capital has also grown due to its fast, international expansion and so has the number of jobs. From hardware and software development to marketing & PR, advertising, customer service, supply chain management as well as fulfilment, there are several types of jobs that Amazon has created. Being a large tech platform, it hires engineers and managers in large numbers. Apart from them, you will come across a larger number of entry level positions at Amazon. However, as a company the central focus of Amazon is the customer. Therefore, the brand’s focus stays on hiring people who can confirm with its work culture and policies. Most of the freshers dream of beginning their careers from big brands like Amazon. However, the tech industry has grown highly competitive. Technology jobs have grown complex and demanding. What keeps attracting freshers in large numbers still are the fat salaries, other incentives and on top of them all, the lure of working for a big brand. Tech companies are focusing on hiring the best candidates. There is a lot of competition and each tech player wants to hire those with best skills, technical expertise and personality traits. Each one of them looks for certain qualities and personality traits apart from technical skills in any candidate. This is why most tech players including Apple, Google, Amazon and Microsoft have got elaborate hiring procedures consisting of several rounds of interview that judge the candidates critically at each stage. So, bagging a dream job at one of these major tech brands is not so easy and apart from having the technical expertise, it is equally essential to have the right personal traits and a basic understanding of what the company expects of you. the number of tech jobs has grown fast in recent years due to the expansion and growth of tech industry. Apart from new start-ups, old and large players are also hiring in large numbers. These companies have got unconventional business models and therefore want the candidates to think and act unconventionally. Amazon has also got an elaborate recruitment process involving several rounds of interview. Read about what are the most outstanding things about its hiring process and what the company looks for in prospective candidates. What the company looks for in new hires? Amazon is a customer centric company. It would not be wrong to say that the company is absolutely obsessed with customer service. This has been a central focus right since the foundation of Amazon. However, there are other traits too that Amazon looks for in new hires. They want people who are intuitive and innovative. The leadership recruiters work with some of the brightest business leaders from the company. They are looking for talent who use data beyond the common usage. Some important things they focus at are how someone knows what a customer needs or wants and how he determines the right path. Apart from that Amazon recruiters are looking for product talent having machine earning experience. If someone is a product development candidate, he is certainly going to face a question somewhat like “How do you solve business challenges through machine learning?”. As a candidate you must be ready to demonstrate unconventional thinking. Some of the Alexa shopping leaders at Amazon quote that the environment is highly ambiguous with no clear set direction. So, they want technologists who can work amid ambiguity and can identify problems as well as provide innovative solutions. A candidate according to Jenny Blackburn (Biotech leader Alexa shopping) a candidate must have insatiable curiosity and the desire to build new things. Vicky Gkiza, Director or Product management, Alexa shopping likes candidates that have a wider range of experiences or simply put ones who have followed a non-linear path. Such people demonstrate creativity and persistence, both of which are critical leadership qualities. Abhay Saxena, Principal product manager looks for product manager candidates that have a proven record in delivering customer value. He is looking for team leaders and people who have solved problems and built and launched solutions in challenging situations. Lastly, he is looking for leaders who can inspire their teams, build trust and go to any extent to make their teams successful. Amazon aspires to make interviewing as frustration free as shopping and so it has offered several resources to help the candidates. Apart from frequently asked questions related to searching for jobs, submitting resume, working with your recruiter and other topics, it has offered several more resources that the candidates can use to gain an understanding of what it is like to be interviewed at Amazon and what most likely the interviewers are looking for. Amazon’s culture is based on its leadership principles and candidates must go through these principles to know how they have applied them in their previous careers. Prior to inviting them for interview, It encourages the candidates to connect with a recruiter or member of the hiring team. The recruiter conducts a phone interview in which the questions are generally related to the leadership principles and their application in the previous career span of the candidate. Often the questions in these phone interviews consist of behavioral based questions and how the candidate has faced and handled challenging situations in the past in the context of the leadership principles. Such interviews often avoid brain teasers because research has showed that brain teasers do not have any connection with the candidate’s real performance and success at Amazon. A first step to being hired at Amazon is to get in touch with a recruiter. A recruiter is not just any person that you have to speak with before you meet the hiring manager. It is the recruiter who makes the first judgment call on the candidate. His assessment is just as important as skills evaluation. When preparing to have a conversation with your recruiter, you must first look at his Linked In profile. These recruiters are hired for their ability of understanding human dynamics, detecting critical business skills and personality traits which fit with Amazon’s culture. You should offer him concrete examples from your past work experience and demonstrate to him your customer obsession. You should also show how data driven and entrepreneurial you are. Respond to him like you are talking to the hiring manager. Amazon suggests that the candidates use the STAR answer format for answering questions asked during In-person interview for behavioural based interview questions and taking examples from leadership principles. ‘STAR’ format means – Situation, task, Action and Result. The candidates should use this format to describe specific challenging situations and how they handled them and what was the result. First the situation – Candidate must provide enough details to help the interviewer understand the complexity of the situation and describe the task he had to accomplish. Next the Task: candidate but explain the goal he was working towards. Third comes the Action part. Here the candidate must describe the actions he took to address the situation with specific detail related to the steps he took and his particular contribution. It is not about the entire team but what the candidate personally did and answered must be focused specifically upon the candidate. At last, the time for results. At the end the candidate must describe the result and take credit of his contribution without any hesitation. If applicable the candidate must use data or metrics to describe what was the end result and what he accomplished and learned. Candidates should consider their successes or failures in the context of the leadership principles. They must bring specific examples that showcase their expertise and how they have born risk and failed or succeeded over the course of their career. Amazon considers failure an essential part of innovation and that’s why pays them special importance in relation to hiring. Several of Amazon’s own programmes failed and then rose again from their ashes before being successful. Amazon believes that those who have taken risks and failed and then risen again can become real successes their careers. At Amazon you should only offer examples from your work history centered upon scope, complexity, recency, and relevancy. In terms of scope, you must bring examples that show you built or enhanced something meaningful or valuable. Moreover, in terms of complexity you must be able to show that you simplified something complex or built something very simple and meaningless into meaningful and impactful. Your examples should also be recent and relevant to today’s environment not from 20 years ago. Technological innovation is in the DNA of Amazon and it uses technology to improve every aspect of customer experience that it offers. The candidates are asked questions from a wide range of technical topics that Amazon has offered guidance about on its websites. Programming language is one of the most common technical topics that the candidates are asked about. While Amazon does not require the candidates to have a very deep knowledge of any of the programming languages still, familiarity with any of the common programming languages is required for being successful. One should be familiar with syntax of one of the programming languages from Java, Python, C#, C/C++, or Ruby. Knowing memory management or common collections and libraries is even better and can ensure higher chances of being successful. A lot of work at Amazon involves working with various forms of data and having a string background in data structures can help you ensure your chances of success. Apart from understanding the inner workings of data structures knowing run times of common operations and their memory usage also helps. Having a knowledge of algorithms can also grow your chances of success in a technical interview. Knowing some common algorithms such as traversals, divide and conquer, breadth-first search vs. depth-first search and their trade offs can be great. At the technical interviews you can also get a chance to demonstrate your coding skills. Some of the other topics you can be asked about during a technical interview include but are not limited to operating systems, internet topics, machine learning, artificial intelligence, data bases and distributed computing. Sometimes you may also be asked to demonstrate your writing skills. At amazon the meetings do not have power-point presentations. This is a unique aspect of Amazon culture where they write memos from one to six pages long. These memos are read in the meeting halls. Such memos generally articulate the goals of a project, approach to addressing it as well as expected outcomes and next steps. So, to fit in the writing culture of Amazon, you must have some writing skills. It is a necessary skill at Amazon to be able to articulate your ideas in written format. Every candidate goes through a series of interviews before being selected. A candidate gets to see two to seven Amazonians based upon the role he is being interviewed for. They include managers, team members, key stakeholders from related teams, and a “Bar Raiser”. The Bar Raiser is an objective third party usually from another team. He is brought into the hiring loops for being an objective third party and to help make the best long-term hiring decisions. 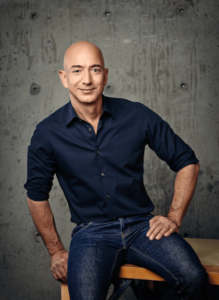 He is a steward of Amazon’s leadership principles. After being nominated for and accepted into the Bar raiser program these people undergo lengthy training. They act as objective advisors during the interview process. Moreover, they can see those aspects of a candidate’s talent which others might miss. They can expertly evaluate talent against the leadership principles and find talent that has real potential. There are mainly three responsibilities of bar raisers. Their first responsibility is assessing candidates for specific roles and for long term success at Amazon. The second is to ensure that every candidate is accurately, freely and fairly assessed. The last responsibility is to help the hiring managers prepare for the interview, ask questions and asses the candidate as well as provide written feedback. Customer obsession: leaders work to earn and retain the trust of customers. They keep an eye on competitors but obsess over the customers. Ownership: Leaders take ownership and value long term results over short term. They act on the behalf of the entire company instead of just themselves or their teams. Invent and simplify: Leaders believe in inventing and simplifying and want the same of their teams. They also keep looking for new ideas from everywhere. Are right a lot: Leaders have strong intuition and judgment. They do not remain bound by their beliefs but work to disconfirm them. Learn and be curious: Leaders are always curious about new possibilities and never tired of learning. Hire and develop the best: Leaders have an exceptional eye for the right talent. They are always interested in raising the bar higher with very hiring. They are serious coaches and groom others to become leaders. Insist on the highest standards: Leaders insist on keeping standards high even if others find it unreasonable. They continuously raise the bar to deliver high quality products, services and processes. Think big:- Leaders think out of the box and creating newer and better things for their customers. Bias for action: Leaders are good at calculating risks and moving ahead. After all speed matters in business. Frugality:- Good leaders try to accomplish more with less. Earn trust: Good leaders work to earn people’s trust. They listen with attention, treat others with respect and always speak candidly. Dive deep: Good leaders dive deep, focus on details and are never hesitant of checking and doing things that may seem beneath them. Have backbone, disagree and commit:- Good business leaders would rather disagree respectfully than commit to decisions they think are not right. Deliver results:- Good leaders bring great results. They always rise to the occasion and never settle. Apart from being a major tech player and the leading e-retail company, Amazon is also a leading employer. However, a large number of jobs at Amazon are related to technology and getting hired there might be a long and a bit torturous where you may have to go through several rounds of interviews. One critical trait to be hired is to be customer obsessed. Apart from that you will also be judged for several critical technical skills in technological areas like data structures and coding. The 14 leadership principles are also critical and you must be able to demonstrate how your previous professional career measures against them. Amazon keeps looking for people who are passionate leaders and unconventional thinkers. Despite the complex nature of these jobs, millions dream of working for Amazon. You can find a large number of resources on the Amazon jobs website if you are interested in applying for a vacant position there.